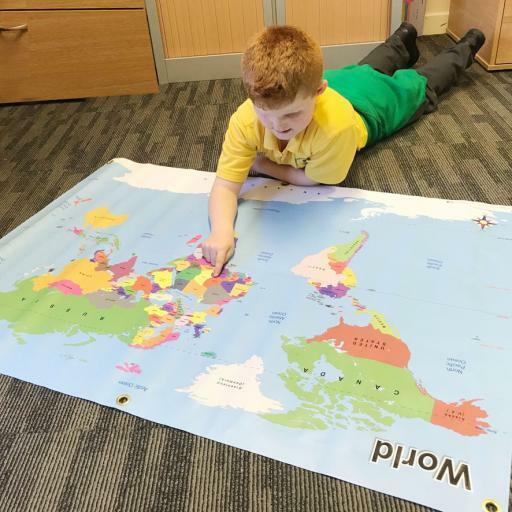 This large, simple map of the world, printed on hard wearing vinyl, is ideal for hands-on learning for all ages. 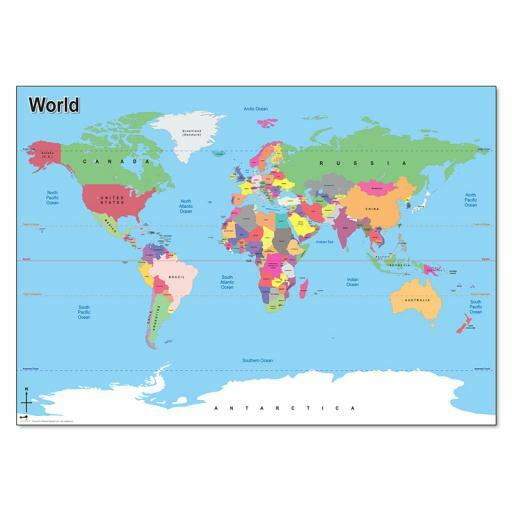 Clearly showing Countries, Country Borders, Oceans, the Tropics and the Equator. 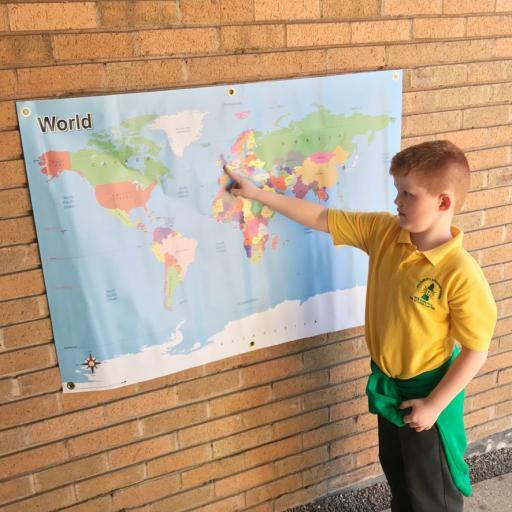 It can be used indoors in the classroom, outside in the playground both on the floor or displayed on a wall (using the six brass eylets) and can be easily rolled away for storage when not in use. Waterproof, UV resistant and Hard wearing.